Transform your business and customer experience with ImageWare's GoVerifyID®, an end-to-end, enterprise-ready biometric authentication solution. GoVerifyID biometrically authenticates the end users’ identity using their choice of face, voice, or fingerprint. It allows customers to replace (or augment) their passwords or Multi-Factor Authentication (MFA) with biometrics. Rather than typing a password, end users can take selfies, speak phrases, and/or swipe their fingerprints to gain access. GoVerifyID is the only Software as a Service (Saas) solution that has identity proofing aspart of its biometric authentication process. ImageWare’s GoVerifyID SaaS solution provides a turnkey enterprise-ready service that can be easily integrated into your existing security solutions, with no disruptions to your business processes. ImageWare Systems, Inc. is a leading developer of mobile and cloud-based identity management solutions, providing biometric authentication solutions for the enterprise. Scalable for worldwide deployment, ImageWare’s patented biometric product line includes a highly scalable, multi-modal biometric engine capable of working with a wide array of sensors, modalities, and algorithms. ImageWare’s identity management products are used for secure credentials, national IDs, passports, driver’s licenses, and smart cards as well as both application and physical access control systems. ImageWare products support a wide range of biometric modalities including, but not limited to, face, voice, fingerprint, eye, DNA, and more. ImageWare is headquartered in San Diego, CA, with offices in Portland, OR, Ottawa, Ontario, and Mexico City, Mexico. 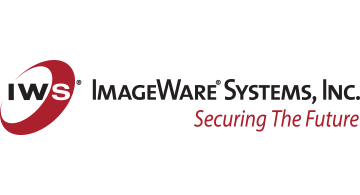 For more information about ImageWare Systems, Inc., please visit www.iwsinc.com.